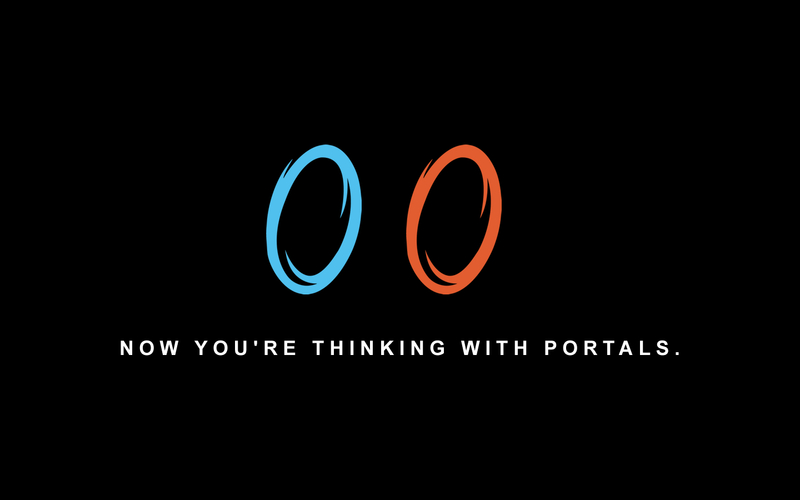 Portal is a first person, puzzle game. It was made by Valve and released in a pack called The Orange Box for PC and Xbox in October 2007 and later for PlayStation in December 2007. 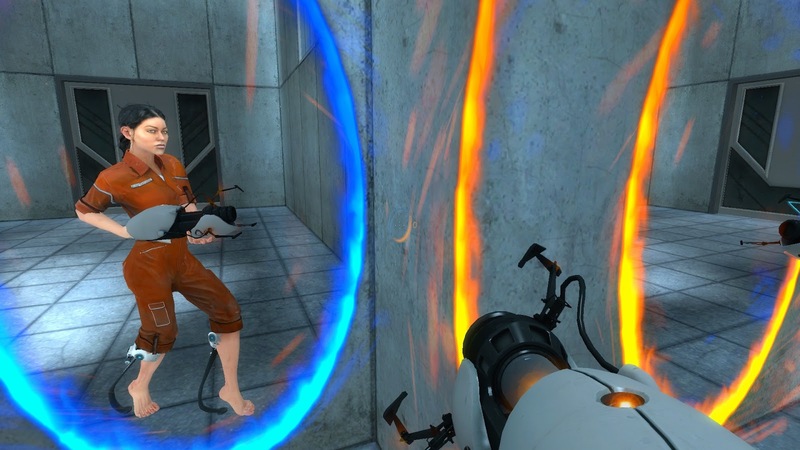 The game is based in a science facility called 'Aperture Science Laboratories Computer-Aided Enrichment Center'. Aperture Science had created a portal gun. 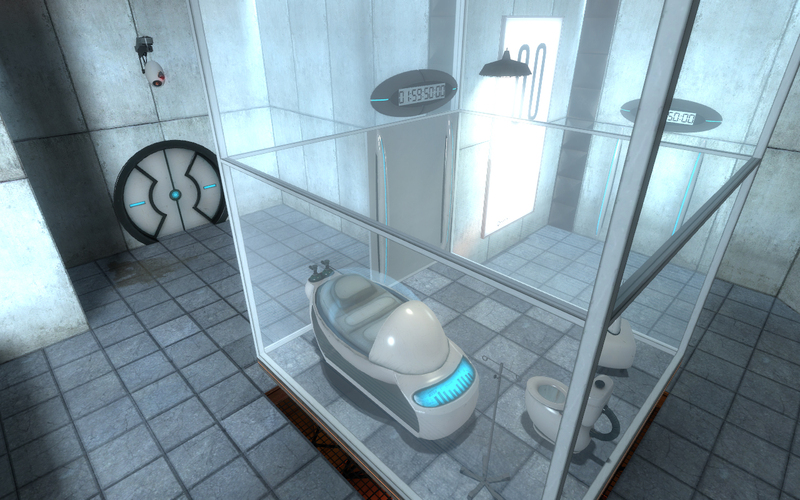 The game starts with the protagonist, Chell, waking up in a glass chamber containing a bed, a toilet and a radio. An AI (Artificial Intelligence) woman's voice can be heard throughout the game, giving you instructions and interacts with Chell in a way that gives the AI character within her dark, sarcastic humour. The name of the AI is GLaDOS. 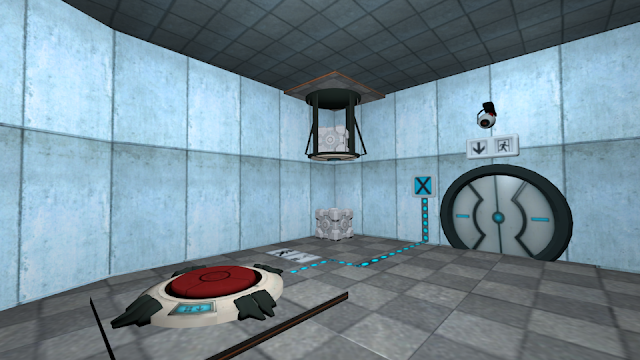 GLaDOS leads you through many different test chambers that increasingly test your puzzle solving skills as you progress. I like the story because each test chamber tests you more and more as you progress. As well as that I really enjoyed discovering some hidden gems and secrets in the game about a mysterious character that is known as 'Rat man'. The game consists of basic movement controls. For keyboard and mouse, WASD - forward, left, backward, right, respectively - left mouse button for the blue portal and right mouse button for the orange portal, using the mouse to look around. For controllers we use the left stick to move and the right stick to look around. Some objects in the game, such as cubes, are used to drop on buttons to interact with other parts of the map, open doors, etc. To pick up these objects we use E on the keyboard to interact or we use X on the Xbox controller or Square on the PlayStation controller. To jump we use space on the keyboard, A on the Xbox or X on the PlayStation, while to crouch we use Ctrl on the keyboard, B on the Xbox or Circle on the PlayStation. It's a good, basic setup that would make it easy even for someone who is new to games to pick up a mouse and keyboard or controller and move around in the game and solve each of the puzzles. Given that the game was released in 2007, the graphics seem quite advanced. Textures for each test chamber were important to create depth. There was also a lot of detail put into the game, including detail gone into the protagonist, Chell, who you can only see when you place the blue portal on one wall in a corner and the orange portal on the adjacent wall and then look into one of them. The sound in the game was very atmospheric and eerie. Background noise included slow, quiet music as well as ambient noise such as sounds of fans or the facility moving/creaking. Other than that, sounds like shooting the portal gun or explosions could have been worked on more in my opinion as they seemed almost too basic or dull. For die-hard fans, such as myself, the game probably has a small replay value, purely for nostalgia or out of boredom or even in the hope that they missed something and have to make sure they've found every secret in the game. However, for a casual gamer that enjoyed the game but wasn't overwhelmed by it, or didn't care much for the story, there isn't a huge reason why someone would go back and play the game. This is because it's a single player, story based, puzzle game. Meaning once you've solved all the puzzles and completed the game, you know exactly what to do if you decide to play through again and so there's not much of a challenge involved anymore. In my opinion, it's one of those video games that you wish you could erase from your memory so that you can pick it up one day as a game you've never played before and play through it again to feel that spark of playing it for the first time again. 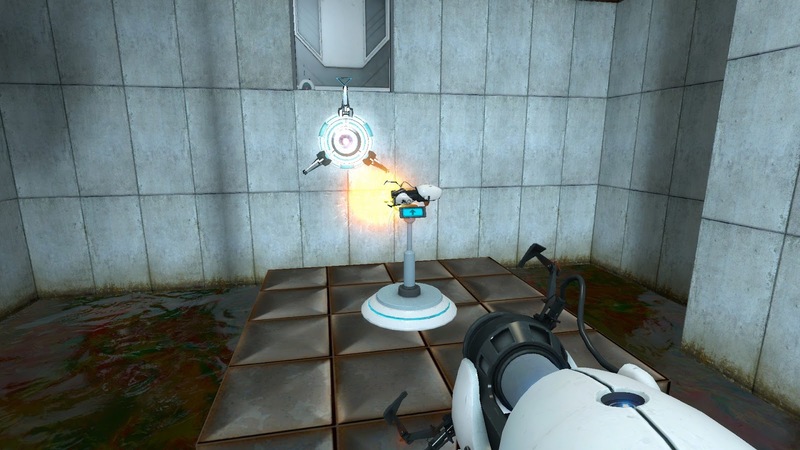 Reasons I would recommend this game to someone include, the challenging task of each puzzle in each new test chamber, the intriguing story behind Chell, GLaDOS, Aperture Science and even Rat Man and the sarcastic humour throughout thanks to GLaDOS and her commentary. I really enjoyed this game and even writing this review as for me, the game holds a sense of nostalgia and curiosity considering I still have so many questions about the game and the story.